Angmar is hard to look at. This post is out of order for my leveling, chronologically it should go somewhere between the Misty Mountains and Eregion, but what they hey. I’m going to have to come back here soonish anyway so I can run Urugarth and get the last of my legendary quest items. I haven’t spent any real time here, just the bare minimum needed for epic quests and legendary trait items. Why not, you ask? Because it is uuuggly! 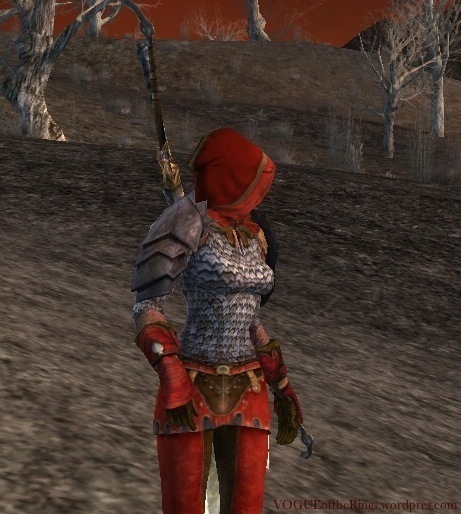 So grim, in fact, that my lovely, soft Misty Mountains armour looked jarringly out of place here and I had to quick cobble together something that would work. I just took what was already in my wardrobe, changed the dye on the shoulders and gloves and BAM. Ready to march. 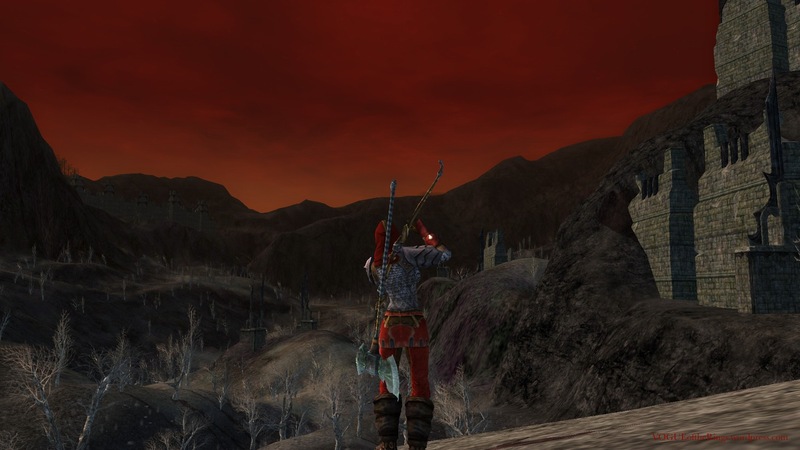 Angmar is the most visually disturbing zone by far. I only spent enough time there to get the rep for my horses. But it does make some of the most interesting screenshots. The lighting is the most intense and startling I’ve seen. This reminds me, I’ve been wanted to make a page of my favorite screenshots from over the years. 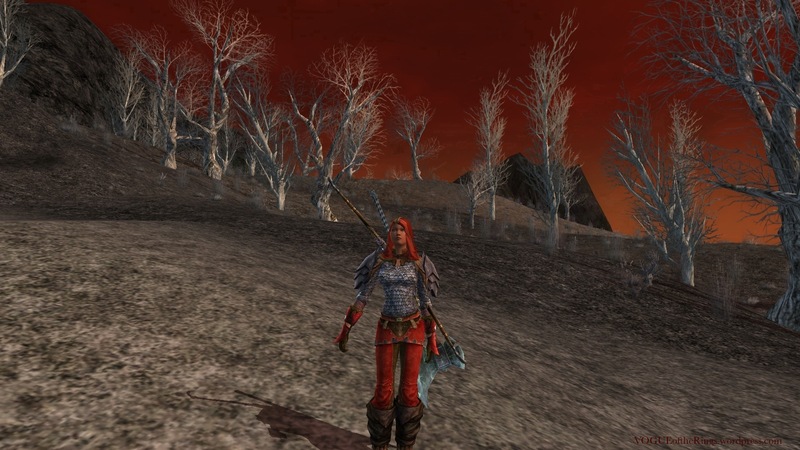 I will start it out with a few from hideous Angmar! The Angmar horse really pretty great. That and the fantastic “Lady of the Fangs” title are two good reasons to go back there.